The Cienega Watershed of Southeastern Arizona has a rich cultural history. People have lived in the Cienega Watershed — especially around Cienega Creek — for over 10,000 years, although evidence is scarce for the earliest period of time beyond mammoth bones and scattered artifacts. Our present knowledge of past peoples is based on archaeological investigations of the area. Archaeological information includes organized surveys and excavations and informal discoveries that cover prehistoric sites and historic mining and ranching locations like Rosemont Ranch and Empire Ranch Headquarters. Archaeologists subdivide this long period into cultural and technological traditions defined as the Paleo-Indian, Archaic, Early Agriculture, Classic Hohokam, and Protohistoric. Once European exploration began in the 1500s, historic records add to the information. For over 7,000 years, during what is called the Archaic tradition, small groups of people mainly practiced hunting and gathering, exploiting seasonally available animals and plants. Some Archaic sites may be deeply buried but on the surface, artifact scatters, mortar bedrock holes, and occasional rock structures indicate use of this area. At least 2,500 years ago in the Late Archaic, populations began to experiment with agriculture, especially in well-watered areas. Eventually local populations became settled agriculturalists living in small villages. 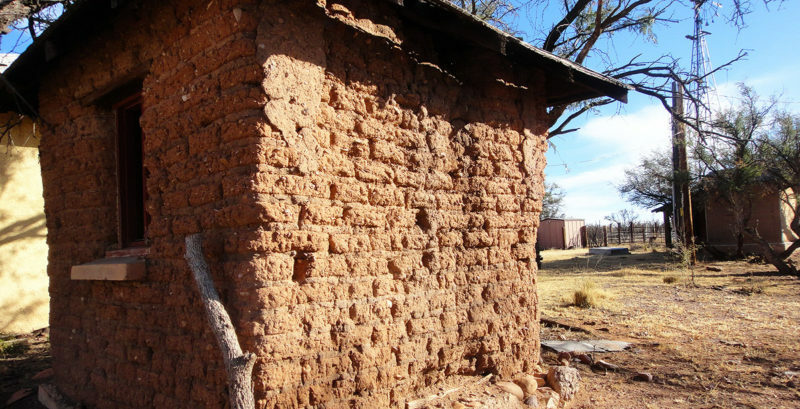 Later in time, Hohokam village sites were occupied, sometimes for multiple generations. These larger habitations produced large amounts of pottery, bones, tools, architecture, and evidence of corn-based agriculture. Much later, the watershed was used or occupied by Native American communities of the Pima (Tohono O’Odham), Sobaipuri, and Apache tribes. Spanish settlement and later Europeans added ranching and mining activities as well as transportation corridors like stage and later railroads to the landscape. Preserving the Cienega Watershed through collaborative actions, including creating the Las Cienegas National Conservation Area, is an integral if relatively recent part of the region’s history.